invite you to the Spring 2019 season! opportunity to build prevocational skills through volunteer experiences. These experiences are designed in a six week session to help individuals explore personal abilities, challenges and skills related to personal independence and development needed for future successful employment and life opportunities. 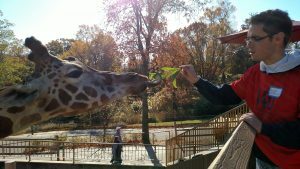 Six week volunteer and Training session: The week of March 18th- April 22nd @ The Maryland Zoo in Baltimore (selected volunteers only). This includes one 1.5 hour session a week working on grounds with a paired zoo volunteer. 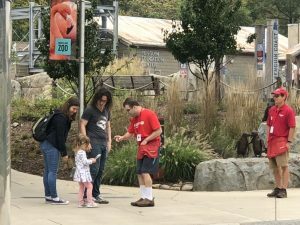 These sessions will take place based on individual schedules as communicated by both selected partner volunteers and the zoo volunteers they are paired with.